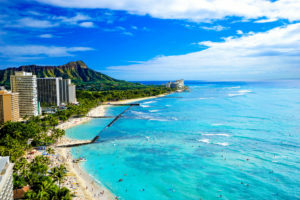 Repeat client was interested in purchasing a condominium in the Waikiki area. The client was also considering other areas, but she found interest in a unit that was for sale at 1717 Ala Wai. This building in particular has an upcoming special assessment, so agent Gabrilyn Lee suggested that they attend the annual association meeting so that Barbara could get some more information about the building and the upcoming special assessment, as well as to answer any questions or concerns that she had. The client was still a little unsure, and she wanted to make an offer that was significantly less than asking price. Ultimately, agent Gabrilyn Lee was able to provide our client with all the information and market knowledge that she needed to make a decision. Additionally, Gabrilyn was able to coordinate with the vendors and sellers, and worked on a great credit off of the closing fees for our client. At Caron B Realty, our agents are highly experienced in consulting our clients on the current market, and whether or not they should go through with a deal. Call or text Gabrilyn Lee at (808) 220-8527.